I’m away from home this week performing comedy with The New Movement, but I wanted to share a project from last summer that I think you might enjoy. 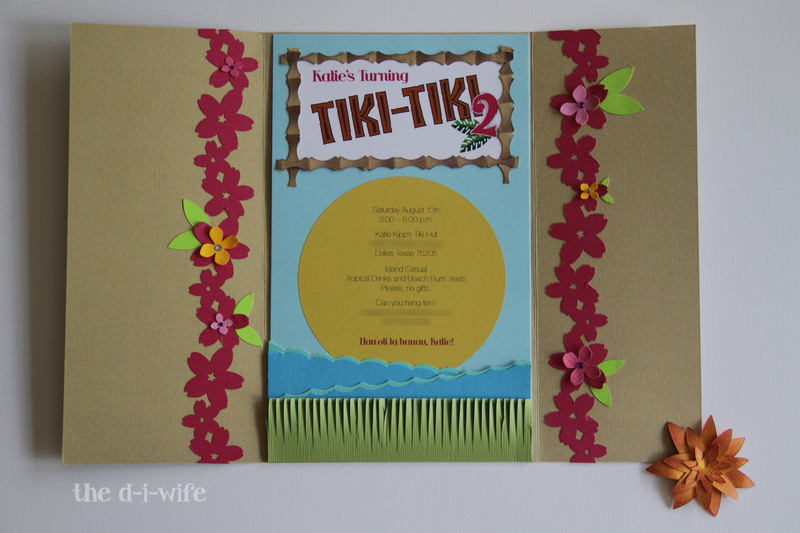 My sister-in-law asked me to design some over-the-top handmade invitations for my sweet niece’s second birthday party. Big parties for small people aside, I jumped at the opportunity to go overboard with different paper crafting techniques to eventually share on the blog I didn’t have yet. So here we are. Let me apologize in advance for the iPhone photos. I wanted to document all the important steps and goshdarnit, that cell phone never leaves my side, so it was the first thing I grabbed when I would be like “Oh, this is an interesting tip, I should take a photo right now.” Anyway, it’s cause I love ya. 5″ Xyron — a magical device that turns anything up to 5″ into a sticker. 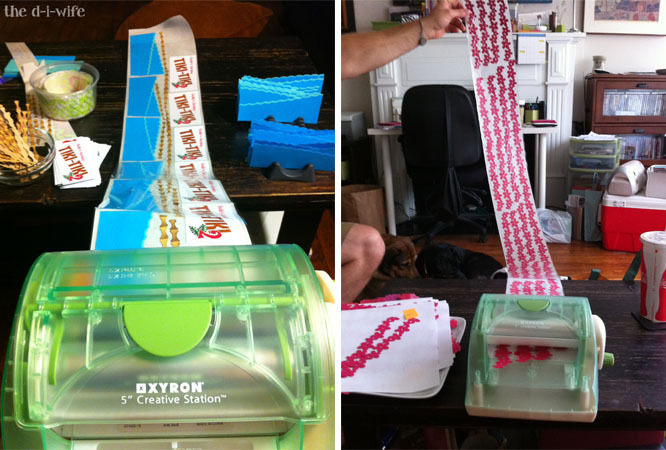 1.5″ Xyron Sticker Maker — a smaller magical device that turns anything up to 1.5″ into a sticker. 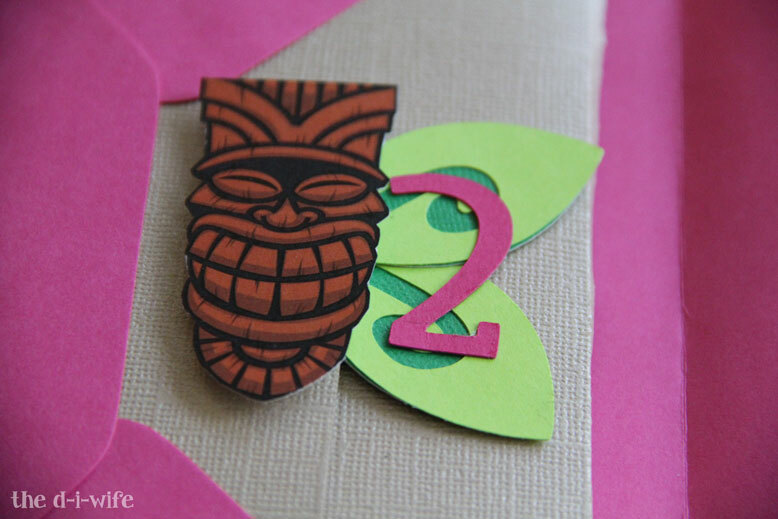 Cricut — a magical machine that cuts paper, vinyl, fondant, fabric electronically. Also known as a lifesaver. *The makers of these products don’t know who I am. They’re not giving me any money. Although it would be nice if they did, but that’s not the reason I’m posting their products. Just dang good tools, y’all. I used Illustrator to design the title graphic and InDesign to lay it out for print. For me, this was the easiest, but that may not be the same in all cases. Photoshop or Word are also good alternatives for this step. One major benefit of using Illustrator is that it’s a vector program, meaning the artwork can be stretched infinitely without getting distorted. Photoshop is a raster program, so when you stretch artwork beyond the original size, it becomes pixelated. Boooo. 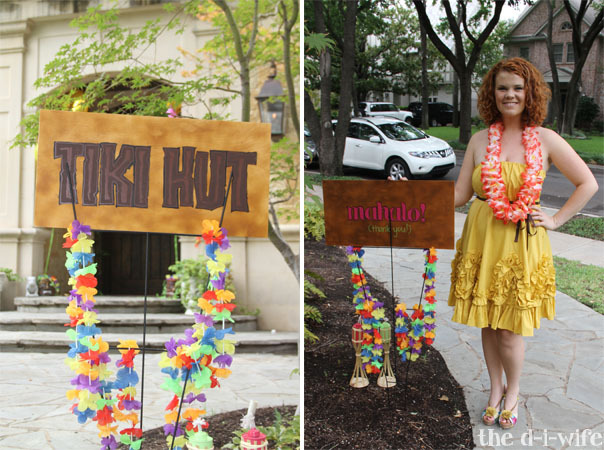 BONUS TIP: I took the Tiki-Tiki text and printed it really large to fit a wooden sign to welcome guests at the party. Using carbon transfer paper, I traced the letters onto the wood and painted in the lines. Made it real easy to look real good! 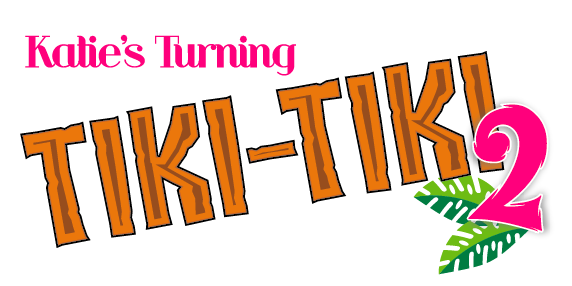 The fonts I used are RiotSquad (Katie’s Turning), TikiIsland (Tiki-Tiki), TikiSurf (2) and Helvetica Neue (Body Text). Paper Source makes all these pretty labels that have downloadable templates in different formats, PDF, InDesign, Word, whatever. So easy. When designing titles like this, I like to use a couple different fonts– but as a rule of thumb, never more than three (excluding more simplified body text typefaces). Start with some 12 x 12″ sand-colored scrapbook paper, I found some really cool single sheets that were metallic on one side and matte on the other. This gave the outside of the enclosures a really luxurious look and the inside a perfectly sandy interior. 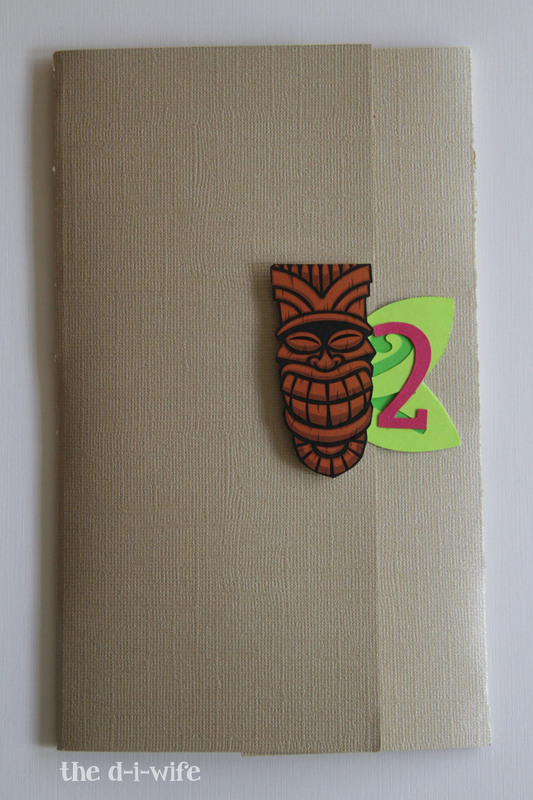 Trim to 8.75″ tall, keep the scraps, they will be used later to make the bamboo trim around the Tiki-Tiki text box. Score the enclosure at 3 3/8″ and 8 7/8″. 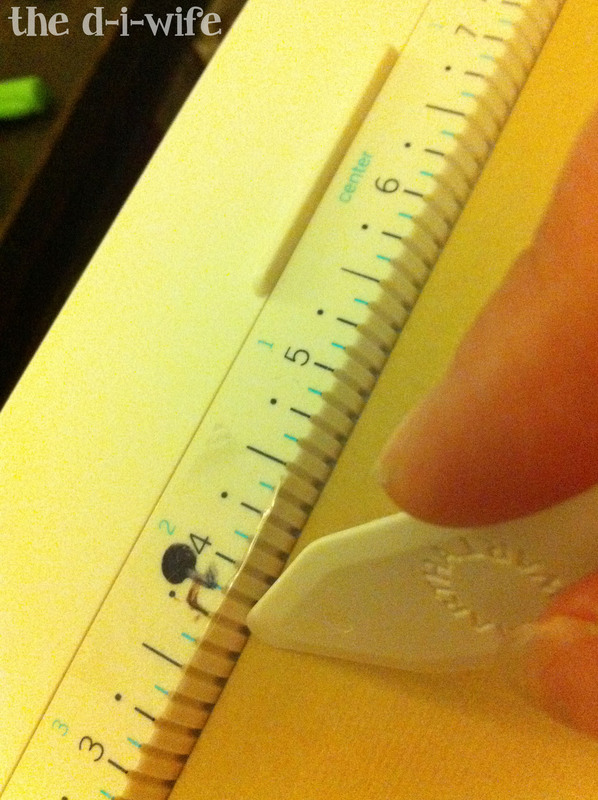 I like to use a marker on a piece of scotch tape to mark the measurements. Makes it a lot easier when you’re making a whole bunch at a time. Since these invitations have some 3D elements, I also scored a second line just to the outside the measurements so that my flowers won’t get squished. The little black dots show me where to crease the enclosures. Put a little piece of tape and to mark your score lengths without messing up your pretty scoring board. Makes it that much quicker to see where to crease the paper! Since I’m the greatest aunt ever, I agreed to make fifty of these bad boys. FIFTY, y’all. That’s a lot of invitations with a lot of individual steps. But fortunately, I learned some great tips about assembly lines working for a company that specialized in the Lean Supply Chain. Who knew logistics and crafting went together? (thumbs to self) This girl did. First, I cut everything out. 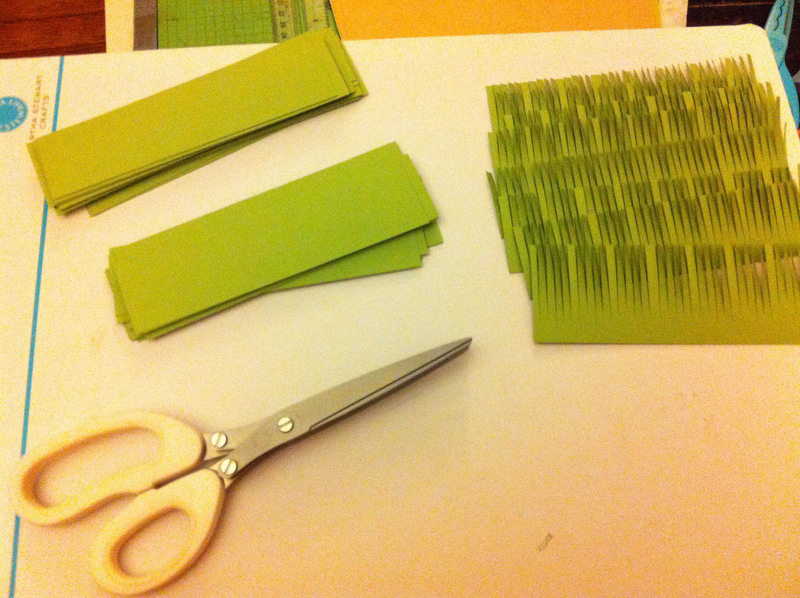 Then I did any sub-steps like cutting the grass with the fringe scissors, making the oceans, etc. Getting everything ready before you start assembling makes it a lot faster and easier to put everything together. Cut and score the enclosures. 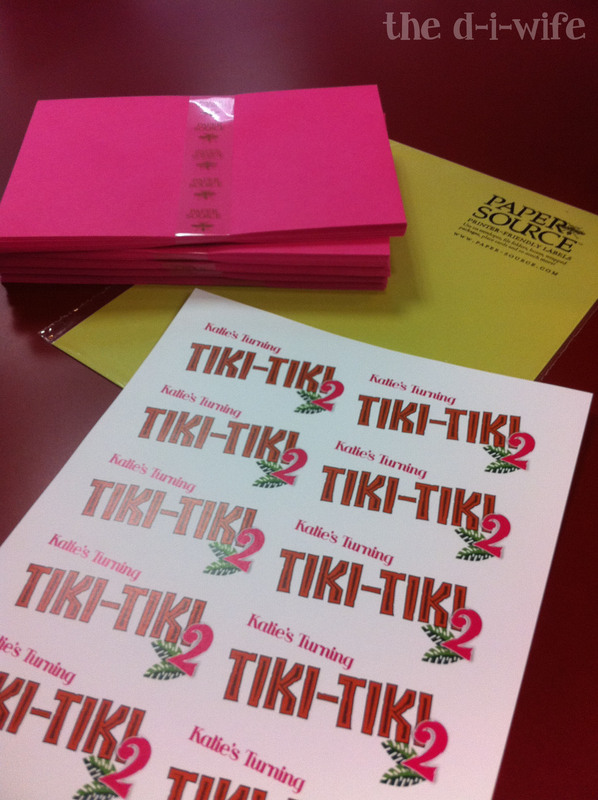 Print the title text boxes onto cardstock. 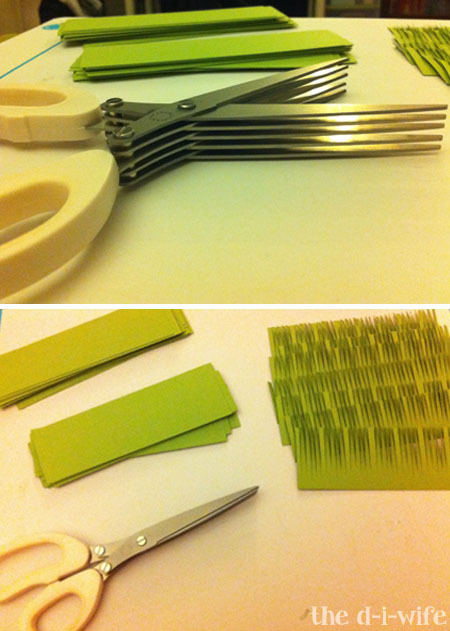 Punch the strips of hot pink flowers for the sides. Run all the strips of flowers through the Xyron at the same time. Punch the smaller flowers and sculpt them. 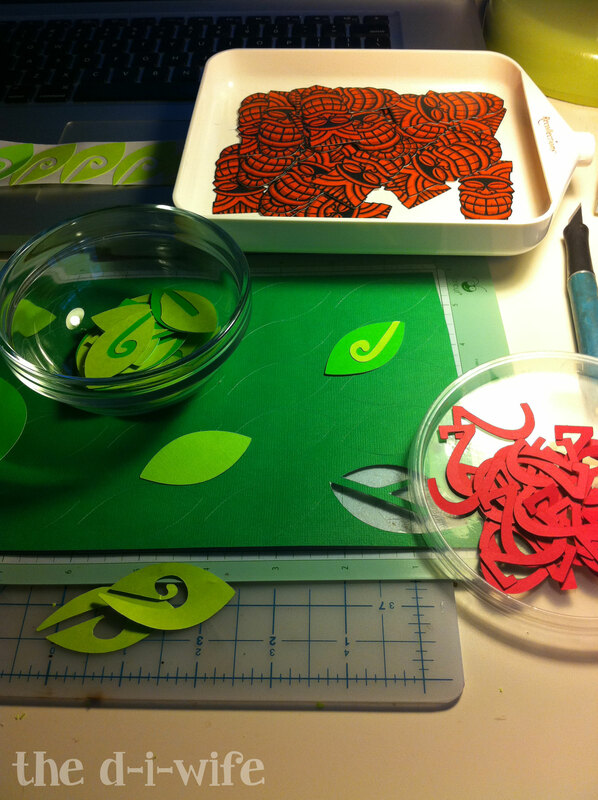 Use cricut to cut various sizes of leaves, run through tiny Xyron. For the ocean, titles and bamboo branches, I ran them through my Xyron at the same time. The pink flowers I ran through in a big batch because of their similar size and shape. The adhesive Xyron cartridges are expensive (use coupons!) so this is a great way to use the machine efficiently and economically. This also applies to the flowers and leaves. Start with the blank enclosure, matte side up. 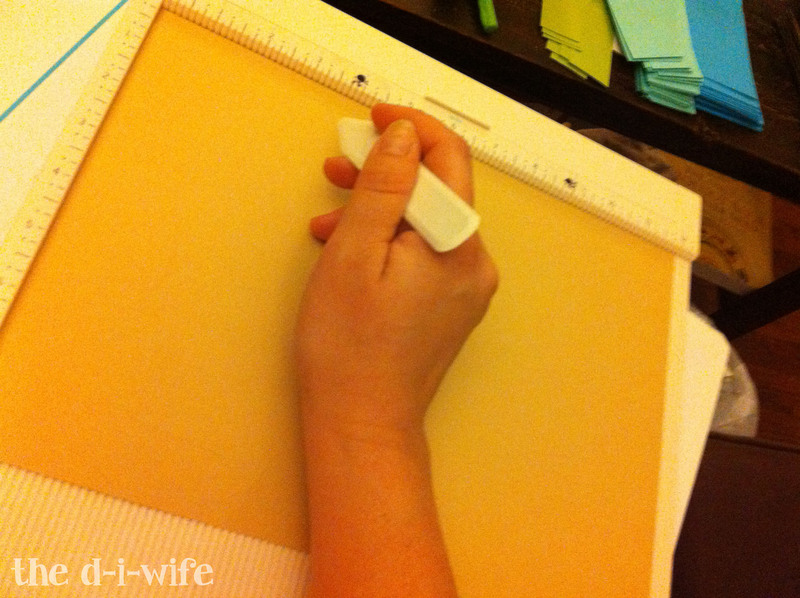 Use double sided tape to adhere the sky blue paper on all four sides. 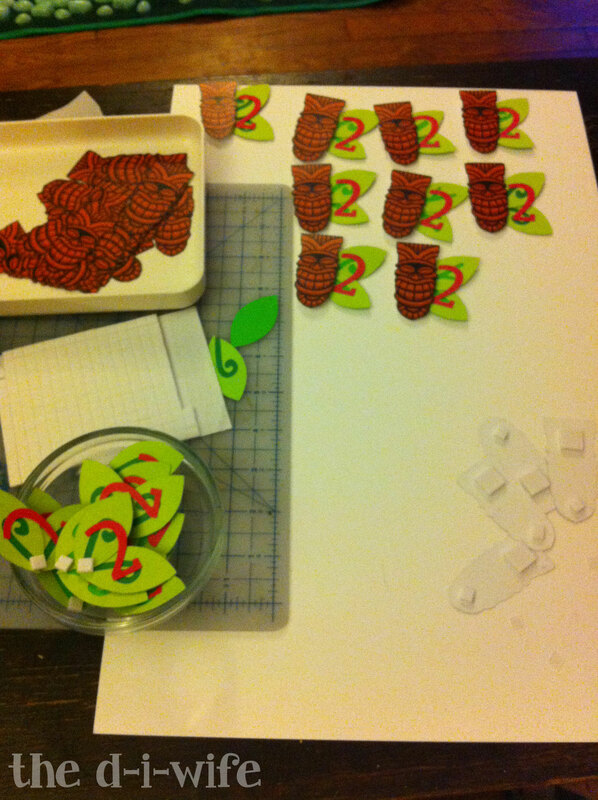 Print the information onto the round 4″ yellow labels, stick the sunny circles right about the middle of the page. Border the text box with the bamboo branches. Place the flower strips on both sides. Use glue dots to place the smaller flowers on either side. No need to go crazy, 2-3 on each side looks lovely. Slip the Xyroned lime green leaves underneath the strips of flowers. Again, no need to go nuts. Less is more. “That’s a whole lot of work for something that people are just going to throw away.” And you know what, you’re right. But aside from the moments that I was really exhausted, working on this project was a total joy. 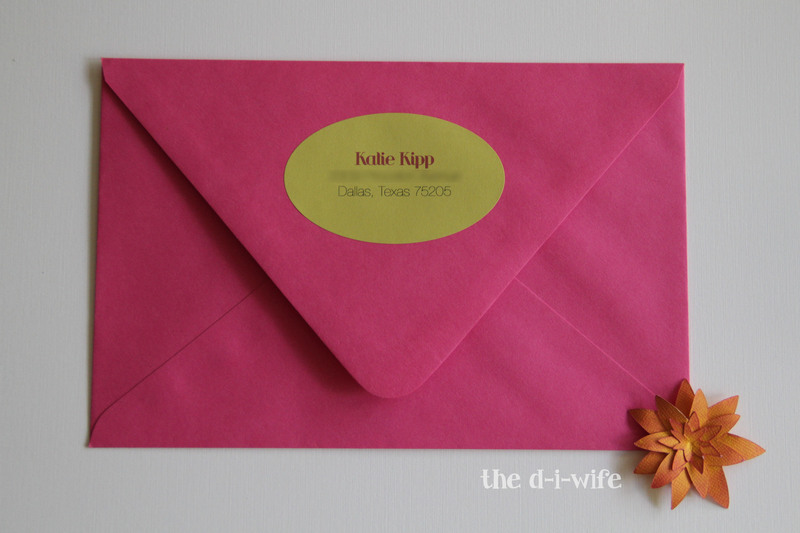 Because I knew that I’d be sharing something special and handmade– not only with the recipients of these invitations, but you, my eventual crafty audience. Even if just for a moment, if someone opened that envelope and said “wow” and felt the energy it took to create it. To me, that’s worth it. 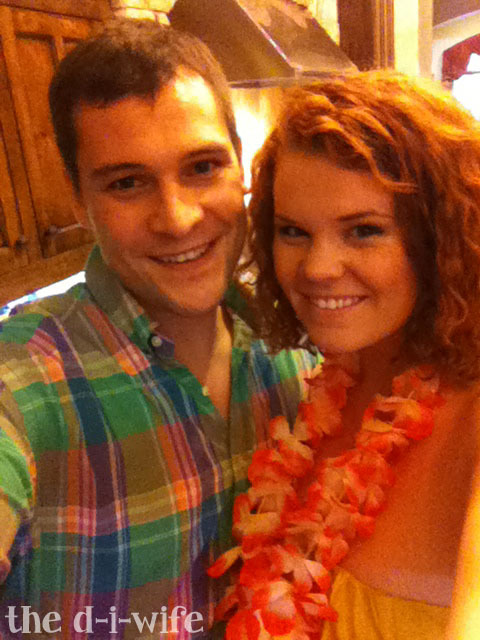 Oh, and the mister and I totally had a good time at the party too. Which is also very important. Posted in Crafting, Entertaining, Kids and tagged beach party, cards, crafting, cricut, diy, entertaining, graphic design, handmade, hawaiian, hibiscus, homemade, illustrator, invitation, kids, love, luau, madewithlove, martha stewart crafts, paper, paper source, papercrafting, parties, party, party theme, photoshop, tiki, tropical, typography. Bookmark the permalink.